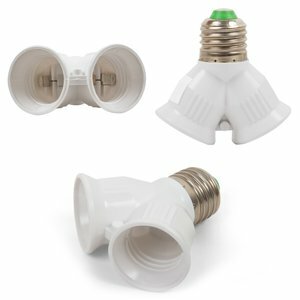 High quality LED light bulb base adapter - B22 to E14, white color. 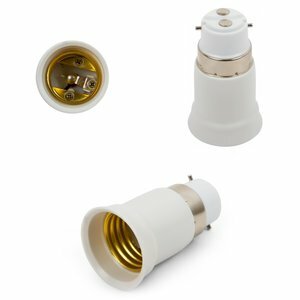 High quality LED light bulb base adapter - GU10 to E27, white color. 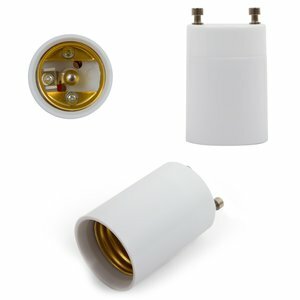 High quality LED light bulb base adapter - GU10 to E14, white color. High quality LED light bulb base adapter - G9 to E14, white color, 60 mm. 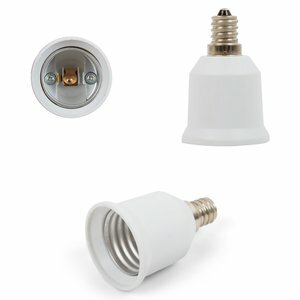 High quality LED light bulb base adapter - B22 to E27, white color. 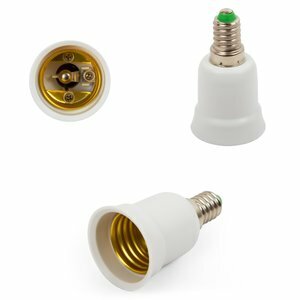 High quality LED light bulb base adapter - E14 to E27, white color. 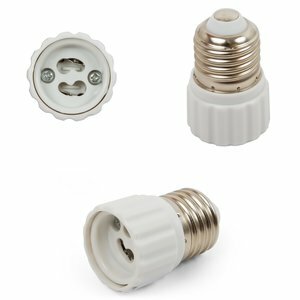 High quality LED light bulb base adapter - E27 to E27, white color, 65 mm. 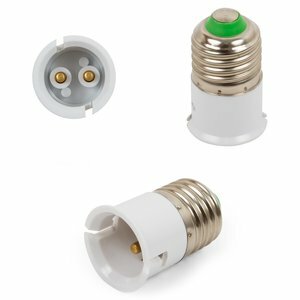 High quality LED light bulb base adapter - E27 to 2 × E27, white color. High quality LED light bulb base adapter - E27 to E14, white color. 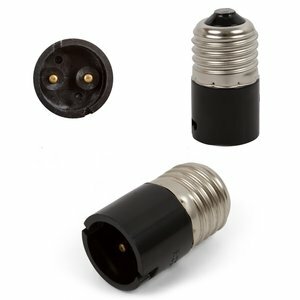 High quality LED light bulb base adapter - E27 to B22, black color. 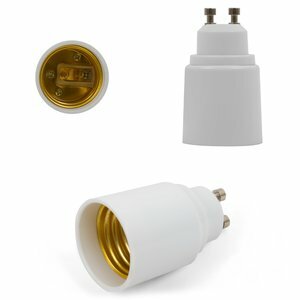 High quality LED light bulb base adapter - E14 to GU10, white color. 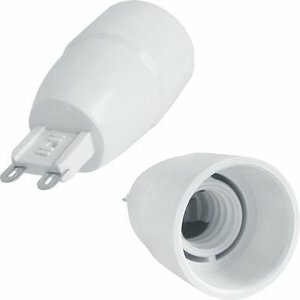 High quality LED light bulb base adapter - E27 to B22, white color. 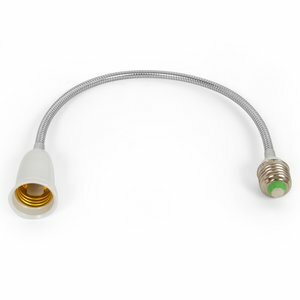 High quality flexible LED light bulb base adapter - E27 to E27, 30 cm. 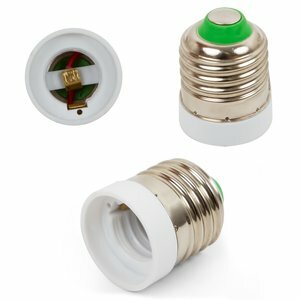 High quality LED light bulb base adapter - E27 to GU10, white color. 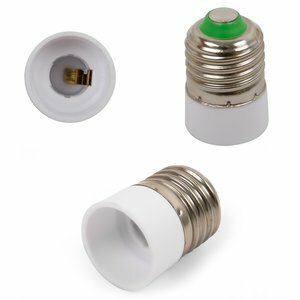 High quality LED light bulb base adapter - E27 to E17, white color. 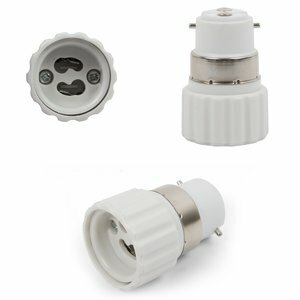 High quality LED light bulb base adapter - GU24 to E27, white color. 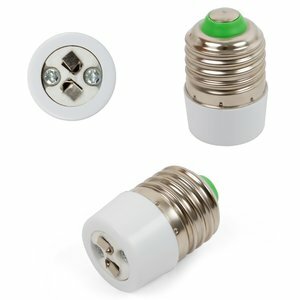 High quality LED light bulb base adapter - E12 to E27, white color. 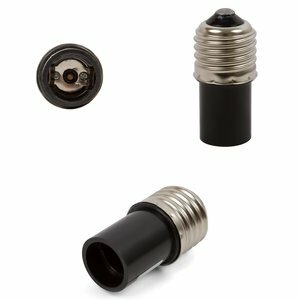 High quality LED light bulb base adapter - E27 to E14, black color. 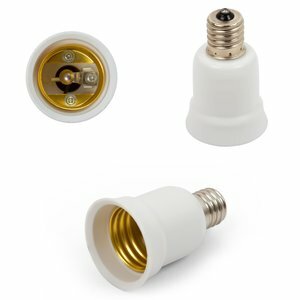 High quality LED light bulb base adapter - E14 to E14, white color, 68 mm. High quality LED light bulb base adapter - E14 to B22, white color. 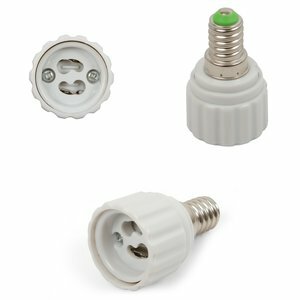 High quality LED light bulb base adapter - E27 to GU5.3, white color. 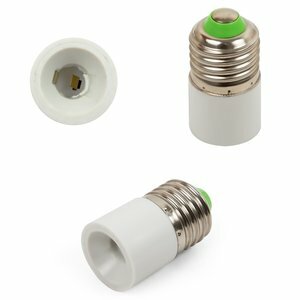 High quality LED light bulb base adapter - E27 to E11, white color. 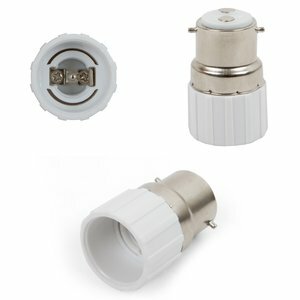 High quality LED light bulb base adapter - B22 to GU10, white color. 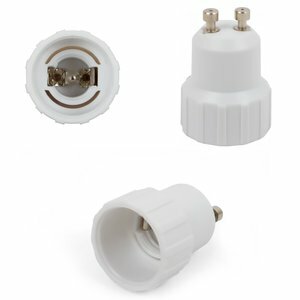 High quality LED light bulb base adapter - E17 to E27, white color.